Let’s face it—you’re busy, but you like to plan ahead! We came up with a list of 10 things you should know before you go to Get Air Indoor Trampoline Park. You can fill out a waiver to jump before you go! This will reduce your check-in time and keep you from waiting in a second line. For children less than 18 years old, the waiver needs to be filled out by a parent or legal guardian. Everyone who enters the facility must have a waiver on file. Be sure that every person attending the park watches the Safety Video and understands the park rules. When you arrive, the video will be playing in the lobby with the addition of ATTENTION and WARNING signs you should read and understand as well. 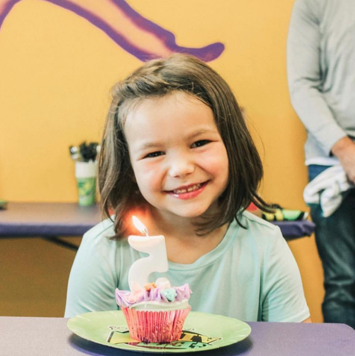 While every child under 18 needs a parent or legal guarding to sign their waiver, children under 10 years old cannot be dropped off without an adult. Please ensure all children understand the rules and regulations of the park before dropping them off to jump. Our busy times are Friday night / Saturday / Sunday / school breaks / holidays. To avoid crowds, come Monday through Thursday. To be part of “the scene”, show up on weekend nights. Purchase your Get Air socks at the front desk! They are inexpensive and strategically designed to prevent you from slipping while you jump! They keep our trampolines and your feet clean. They are machine washable and reusable. Turn them inside out to prevent the grip from peeling off in the wash. Bring them back to use again and again! Come hydrated and stay hydrated. As with any exercise, it is important to drink plenty of water. You are welcome to bring in your own water bottles. We also have drinking fountains and vending machines. We suggest you don’t jump immediately after eating. You are not required to jump if you come to Get Air! There is no admission charge for guests who are not jumping or participating in activities. We have massage chairs for parents or other guests who are not jumping! We have pathways and seating all over the jump area so you can easily watch your children do their cool moves. 8- YOU CAN BRING YOUR LITTLE KIDS, TOO! Get Air has a special jumping area for jumpers under 46″ in height! 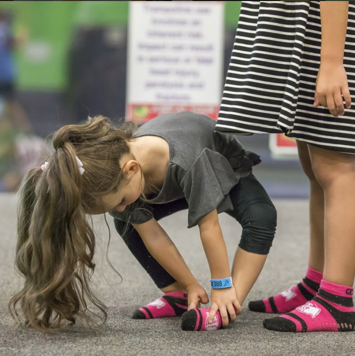 All ages are welcome at Get Air, as long as you are able to jump and are walking on your own. 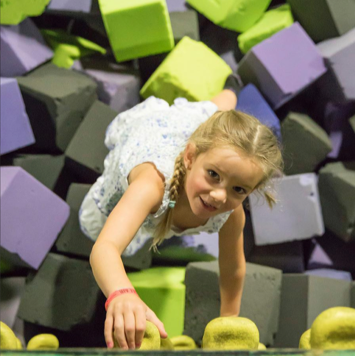 Little Air jumpers also have access to slam ball, foam pits, slack line, fidget ladder, and Little Air area. Little Air is a unique feature that you won’t find elsewhere. Listen to announcements to know when your time is up. The color on your wristband indicates what time your jump time ends. We will announce over the intercom when your wristband color is up. 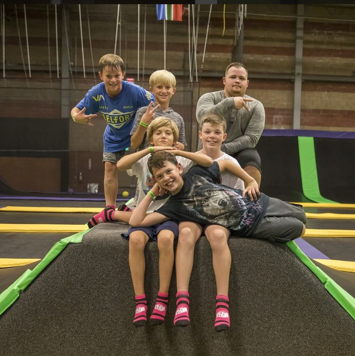 There’s so much to do at Get Air, one hour just isn’t enough! We offer 2-hour jump times with the second hour at a discounted rate. What a deal!